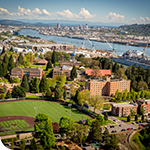 HILLSBORO, Oregon, May 15, 2018 – SSOE Group (www.ssoe.com), a global project delivery firm for architecture, engineering, and construction management, announced today it will fund an annual scholarship at the University of Portland—a 3-year, $15,000 commitment. 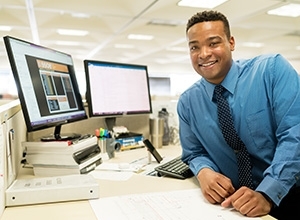 The award, named the SSOE Annual Scholarship, will be granted to a student from an underrepresented group in the engineering field—preferably a female or minority student enrolled in the University of Portland Shiley School of Engineering who is pursuing a degree in mechanical, civil, or electrical engineering and maintains a 3.0 grade point average or higher. 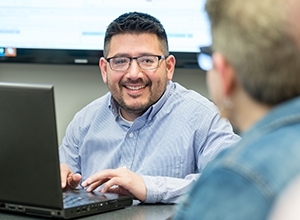 The partnership between SSOE and the University of Portland will remove barriers for these underrepresented groups and introduce students to the global reach of SSOE’s client-base and projects. The first scholarship award is scheduled for the 2018 fall semester. Increased diversity within the engineering field is critical—not only because research shows that more diverse companies outperform those who are not, but also to expand the talent pool for this industry, which is heading toward a severe shortage of labor. To accomplish this goal, SSOE works through its community and university partnerships to generate interest and improve skills in the science, technology, engineering, and math (STEM) fields within underrepresented groups. The Donald P. Shiley School of Engineering prepares innovative professionals with the technical excellence, social integrity, environmental consciousness, and leadership traits essential to identify and solve the world’s problems. With its ABET-accredited undergraduate programs in civil, electrical, and mechanical engineering, it prepares students to solve technical problems that affect society. Coursework and projects emphasize teamwork, experimentation, and innovation integrated with theory, analysis, and design to prepare students to become technological leaders in the 21st century. For additional information on the University of Portland Shiley School of Engineering, visit https://engineering.up.edu.